Join us for some winter sunshine, and relaxed golf on the laid-back island of Lanzarote. We are ideally placed to enjoy our golf and leisure time in the lovely resort of Puerto del Carmen. Lanzarote is a great mixture of traditional, whitewash villages, lush gardens, pretty beaches and an exotic lunar landscape, courtesy of the numerous volcanoes that dot the island. 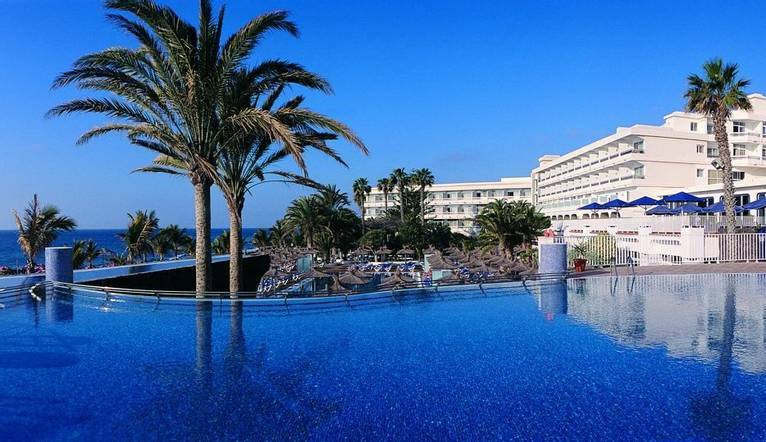 Our hotel is located in Puerto del Carmen with the golf course nearby. Designed by Ron Kirby, this undulating course has been perfectly incorporated into the landscape and has a wonderfully natural feel. With very few trees, the main hazards are in the form of tough bunkers and lots of carefully placed cacti. The wide, open fairways and large, fast greens require thoughtful negotiation, especially on a windy day, when breezes from the nearby Atlantic provide a distinct links feel. I have been a regular on Solos golfing holidays since 2000. This was one of the best I have been on. The Tour Leader was excellent, she is so helpful in every way and I would say the best Tour Leader I have ever come across on a golfing holiday. The hotel staff were very friendly and helpful. I think Lanzarote is a top golfing spot. The hotel was good with comfortable rooms and the food was excellent. Golf course was reasonably well maintained. The Tour Leader was friendly and well organised as she provided us with a good variety of different types of competitions. The transfer time from Lanzarote Airport to the Hotel is approximately 15 minutes., depending on weather and traffic. 4 rounds of organised golf per week at Lanarote Golf Course. Handicap certificates are not required for this holiday, however, you should be a reasonably experienced player as the holiday is not intended for beginners.